Melissa Made: OH, Happy Day! Hi ya everyone! I'm sharing at SP & Company today and thought I would share here too! I made a layout using a whole ton of gorgeous goodies from SP & Co too! 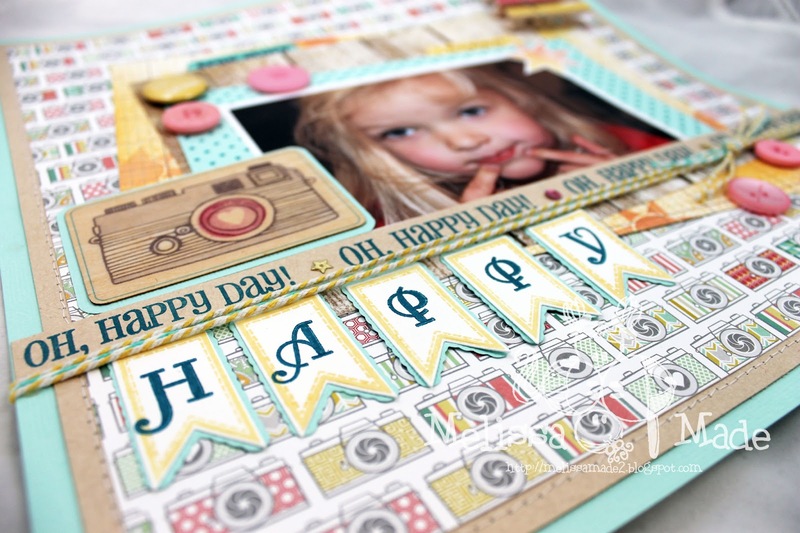 I chose the adorable Build a Banner 1 stamp set and coordinating dies for my little banner that says happy. It fit so perfect and those banners are the perfect size for cards and layouts. I also used the new flamingo pink buttons that are in so many fun sizes and styles. The Oh, Happy Day! sentiment was from the Glam Girl Emma set and the sunshine stamp from Sunshine Emma set. 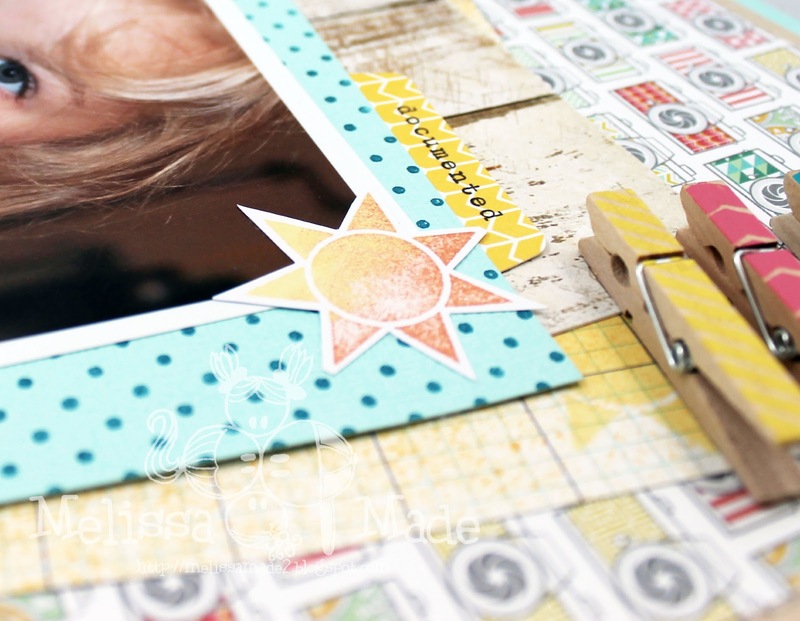 You can see I added a little subtle hint of more sunshine stamps in the background paper behind the picture. Another stamp I used was the medium polka dot background stamp behind the picture as well. These stamps add such a nice subtle texture to card stock and I couldn't resist making the plain a little more fancy. You used beautiful things on your layout, Melissa, and it's a beautiful layout! This is a beautiful layout! What paper did you use? Incredibly cute and bright! Love it!